A good way to illustrate how we work with the SiriusDecisions models is to look at a model from the product management and marketing portfolio. We really like this model because it looks at many of the fundamentals that marketers must focus on before even starting to think about spending money on a campaign. This is a process that starts with vital components of a marketing strategy and extends all the way through execution and, ultimately, growth. On the strategy side, the framework covers elements such as Buyer Personas, Relative Targeting (helping prioritize the verticals/segments that are most promising based on external and internal factors) and Messaging. Some of these components can be simple to execute (relative targeting or demand type can be done in an afternoon if you have all the inputs) while others could take weeks (personas, messaging, etc.). We know the reality is that most companies will not be able to give us 100% of the inputs completed to the degree we want them—and that’s okay. We work with what’s available, uncover as much as we can through our own discovery processes, and then make sure we get alignment on everything before going to the next step: Campaign Planning. SiriusDecisions has some specific models around campaign development which are helpful in terms of structure. One way we apply the model is to use a product “Demand Type” (The degree of commoditization) to determine a guide on how to allocate spend across the various phases of the funnel. Over time, we have added specific activities into our service offering because we realized that a lot of clients didn’t have the bandwidth to do them themselves. Additionally, many of our clients subscribe to SiriusDecisions and have an expectation that we understand the methodologies and the languages, so it was necessary for us to develop the expertise that aligned with the models. Campaign Strategy and Execution: Our first step is to refer to the Campaign Implementation Process (see below) as a reminder of the steps, inputs and outputs. Clients generally own the first four phases as part of their planning process. We typically get deeply involved in the fifth and sixth phase which is Program Planning and Execution. SiriusDecisions defines campaigns as broad initiatives that simultaneously execute reputation, demand creation, sales enablement and market intelligence programs. Within each program family are tactics executed along a carefully planned timeline. As an agency, we are responsible for the strategy and execution for these tactics. However, the client has often done campaigns before, so we have to make sure we work within that process as many stakeholders are often involved with inputs, approvals and execution. In our view, the frameworks are a good starting point. However, the more you use them, the more you’ll naturally improve upon them. We are often asked if we “compete” with the consultants from SiriusDecisions. The answer is “no.” While there can be a bit of overlap, our swim lanes are pretty well defined. 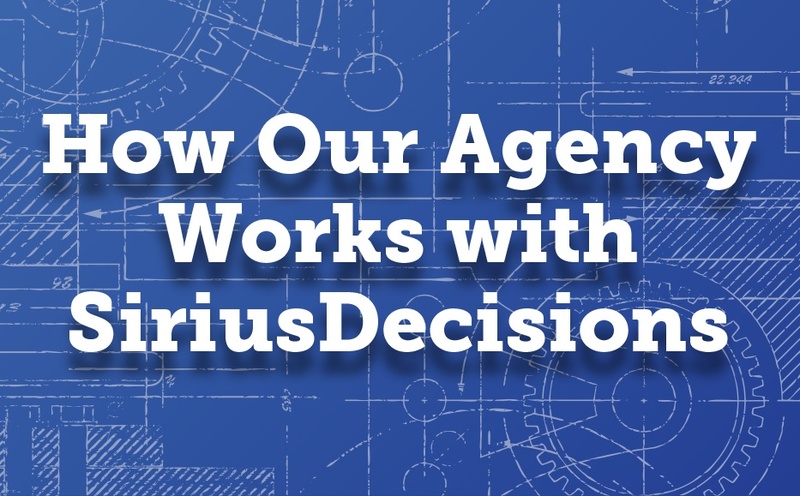 The SiriusDecisions advisors are fantastic at guiding marketers on using the frameworks. 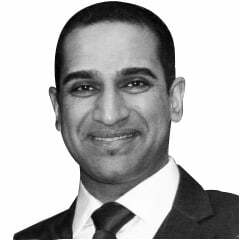 They’re also very adept at working with the C-Suite to drive executive-level change management. As a consulting and creative marketing agency, we take a more hands-on approach with clients. We are often called upon when our client doesn't know how to apply a framework or they don't have the time to do so themselves. So we’re the ones that will roll our sleeves and actually do the work. For example, when it comes to creating your buyer personas, SiriusDecisions will guide you on how to do it yourself. This means that you will have to conduct the interviews and do the research and compilation yourself. When we do buyer personas for clients, we manage the project from beginning to end and execute the steps. Our client’s involvement is typically limited to being interviewed in the beginning, making introductions for internal interviews and participating in status calls. It’s quite common that SiriusDecisions and ourselves will have common clients. For example, a client may be subscribing to Demand Creation Services with SiriusDecisions and they may be working with us on a lead generation campaign. In the early phase, all three parties would be on a conference call to discuss the strategy and the high-level tactical plan. Then once our team has created the tactical executions, the client will validate our work with SiriusDecisions and get any feedback that could be implemented before the campaign launch. The benefit to the client is that they’re getting the advice from two objective groups that speak a common language and are invested in their success. We appreciate the SiriusDecisions frameworks because they offer a starting point for many of the strategic problems we try and solve for our clients. If you would like to find out more about our approach, visit www.getlift.com/evolve.